Afternoon tea is the unsung hero of mealtimes – never has one event been able to fill so many purposes. From the celebratory (anything you can throw a “shower” for, afternoon tea is a winner) to the obligatory (relatives from out of town, anyone?) to the just plain fun (hey, sometimes it’s nice to feel fancy), a tea service will be there. So keep calm and drink a cup of tea already. 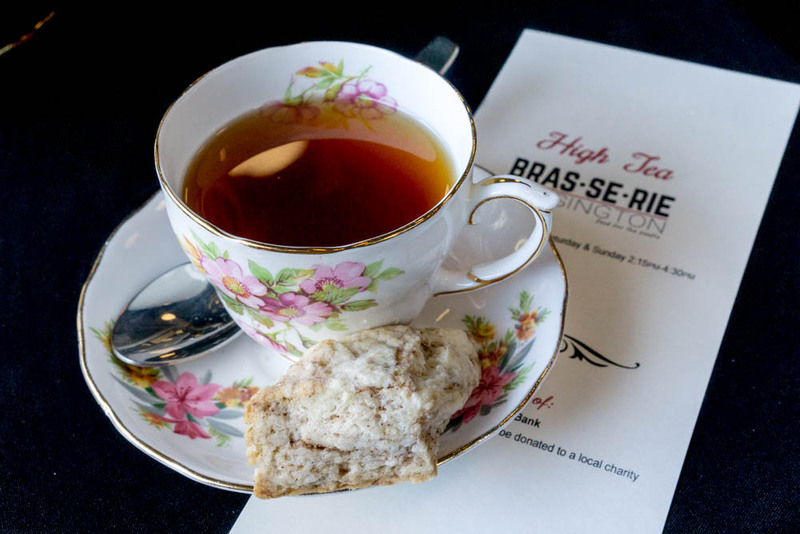 Ranging from a classic English afternoon tea to high tea with a contemporary twist, here are six places where you can sit down for afternoon tea in Calgary. Photograph courtesy of Bow Valley Ranche Restaurant. The Bow Valley Ranche Restaurant offers a classic English tea to suit its historic establishment. Nestled in Fish Creek Provincial Park, the Bow Valley Ranche was built more than 120 years ago. Afternoon tea here includes three tiers of traditional tea sandwiches, scones and mini pastries, as well as coffee and tea. Tea service is offered on weekends from 2 to 4 p.m. from October to May. If you’re in search of a traditional experience, be sure to enjoy this tea before it closes for the summer. Reservations are required. Afternoon tea runs Saturdays and Sundays from October to mid-May from 2 to 4 p.m. Photograph courtesy of Brasserie Kensington. Brasserie Kensington prides itself on its contemporary take on high tea. The tagline on its website is “This is not your grandma’s high tea …but your grandma is welcome to come!” Its contemporary twists range from music choice to menu. The current menu includes duck rilette, prawn salad tartine, salted maple marshmallows banh mi and classic biscuits with housemade preserves, among other treats. Tea is $38 per person. High tea runs between 2:15 to 4 p.m. on weekends. Reservations are required at least a day before your desired tea service. This cafe in Mission is known for its decadent and Instagram-friendly desserts and pastries served in a dining room with sparkling chandeliers and lush drapery. It also serves afternoon tea with sandwiches, desserts and petite fours brought to you on a tiered stand and served with pots of tea. 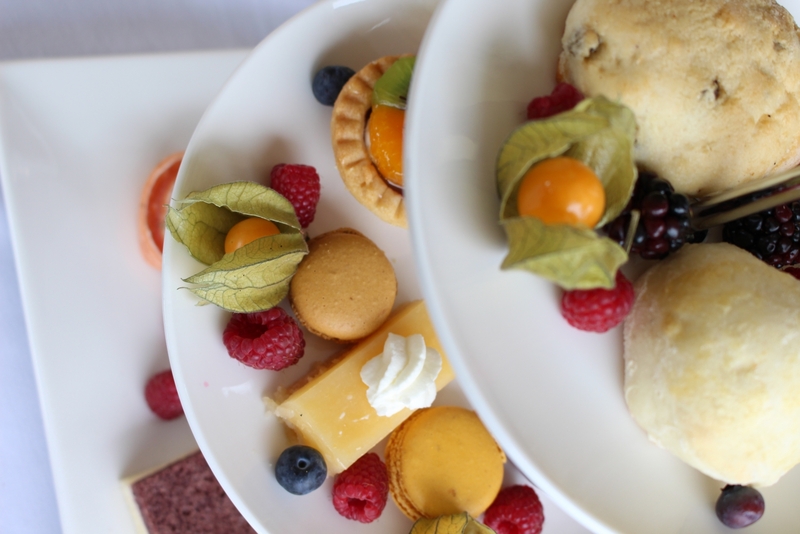 Café du Centre will customize your tea menu on request. 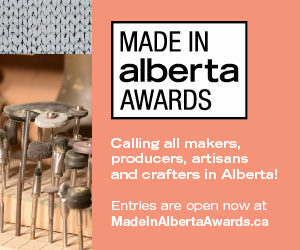 Afternoon tea is served daily from 1 to 5 p.m.
Hayloft is not in Calgary, but it’s worth the drive to Airdrie for the selection of savoury and sweet bites served for afternoon tea at this prairie chic restaurant. Hayloft only serves tea to groups of six or larger and you have to make reservations in advance, so this one is good for special occasions like birthdays or bridal showers. Tea service is $30 per person. Afternoon tea is available on weekends with advanced reservations. Photograph courtesy of Heritage Park. Sip a cup of tea on the verandah of Nellie McClung’s home in Heritage Park — or rather, a replica of her home. The Famous 5 Centre of Canadian Women opened in 2014 and is based on McClung’s home in Calgary. Tea on the Verandah is a seasonal offering, running from June 2 to September 2. Before sitting down to finger sandwiches, French pastries and scones, tea-drinkers are invited to walk through the centre first to learn about the “pink teas” McClung and her fellow suffragettes would host to discuss women’s rights. Tea is $22.95 for adults and $15.95 for children ages 12 and younger. Tea on the Verandah runs on Saturdays and Sundays from June 2 to September 2. There are six tea services, with the first beginning at 11:30 a.m. and the last served at 3:30 p.m. Reservations are required. 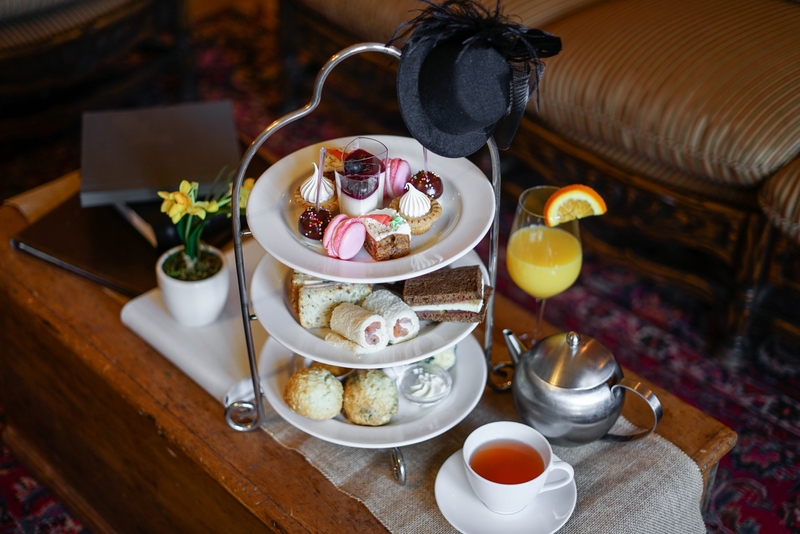 Served on antique linens and bone china, the afternoon tea at the Restaurant at Lougheed House will have you feeling like you’ve stumbled into the past. Enjoy the fresh scones, sandwiches and petite fours and relax among friends in this historic home. After you’ve finished your tea, tour the house or walk through the Beaulieu Gardens. Afternoon tea is available Wednesday to Friday from 11 a.m. to 2 p.m. and on the weekends from 10 a.m. to 2 p.m. Reservations are required.